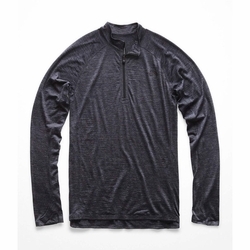 The North Face Wool Baselayer L/S Zip Neck. With 100% merino wool and a new fiber shape that provides superior stretch without elastic fibers, this athlete-requested, quarter-zip baselayer offers exceptional breathability and comfort in a top that's your first line of defense against the elements. Length of Center Back: 29.5"